Mea culpa. I had hired someone to take care of some of my websites–and see what happened? Nada. So I have taken back the websites, and those of you who come here to see what’s new will finally learn what’s new(ish). 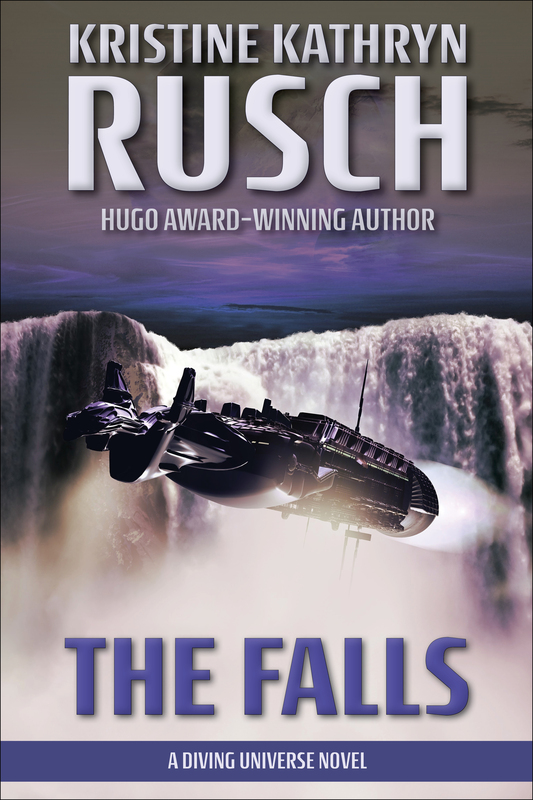 I’ve had a new Diving novella out for months now–and of course, never announced it here. [headdesk]. I’m sorry about that. I just noticed that last night as I set up the new Diving mailing list. Please sign up for it if you want updates. I have just finished the big Retrieval Artist saga. I will turn my attention back to Diving in the new year. 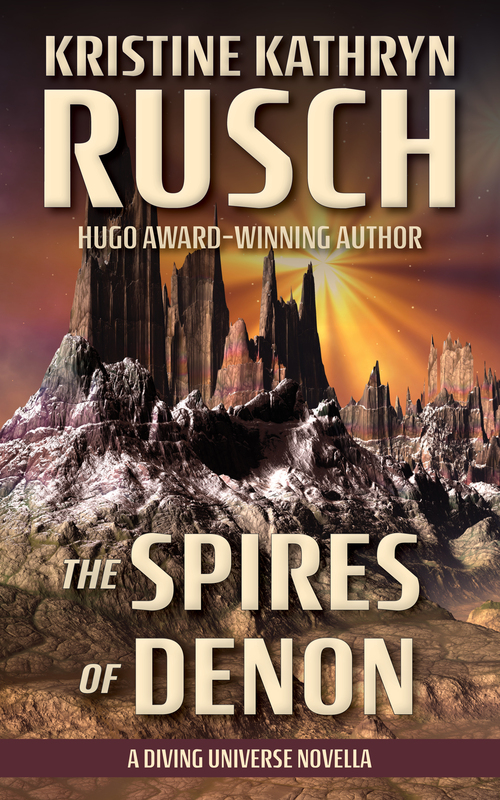 Until then, let this Asimov’s Readers Choice Award-winning novella tide you over. Captain Tory Sabin knows all too well the dangers of the anacapa drive, and that sometimes ships enter foldspace never to return. The ships simply disappear, taking their crews with them. 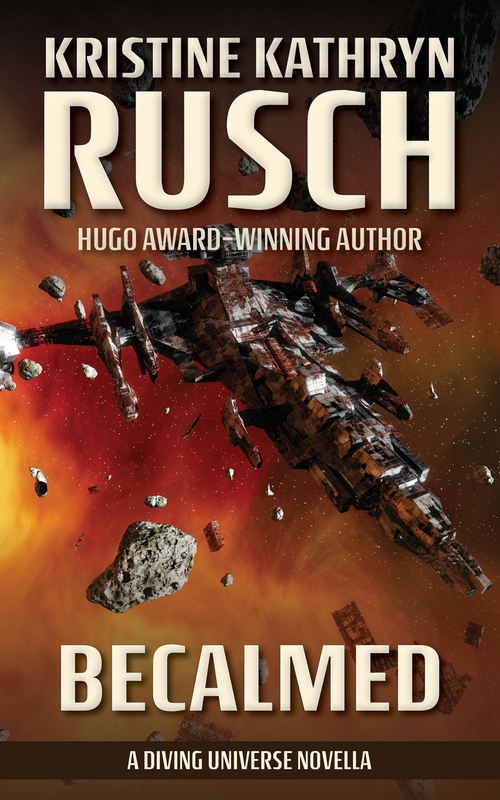 Responding to a distress call from Captain Jonathan “Coop” Cooper, Sabin knows she must race against time to find him and his ship. Because although the Ivoire becomes the latest ship to enter foldspace and not return, she refuses to give up hope. She resolves to find the Ivoire. 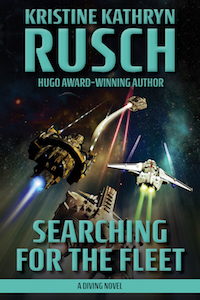 But her search for answers will lead to truths that will change her life forever. 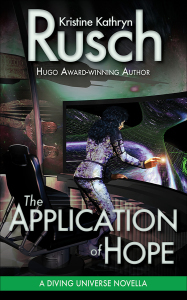 Winner of the Asimov’s Readers Choice Award for best novella, The Application of Hope adds a rich layer to the complex story about foldspace and the anacapa technology that drives the Fleet. This entry was posted in Current News and tagged Coop, Diving universe, the Fleet on November 17, 2014 by kristine. Those of you who’ve read City of Ruins know that the Ivoire was trapped in foldspace for a long time. Although City mentions how the Ivoire got trapped, it doesn’t show what happened. 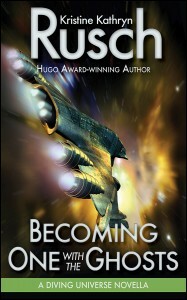 All that takes place in Becalmed, a short novel featuring Coop’s ex-wife, Mae. There’s a lot here, things you haven’t heard before, and some background on the Fleet. 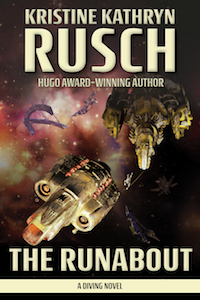 Plus the book stands alone if you’ve never read anything in the Diving universe. 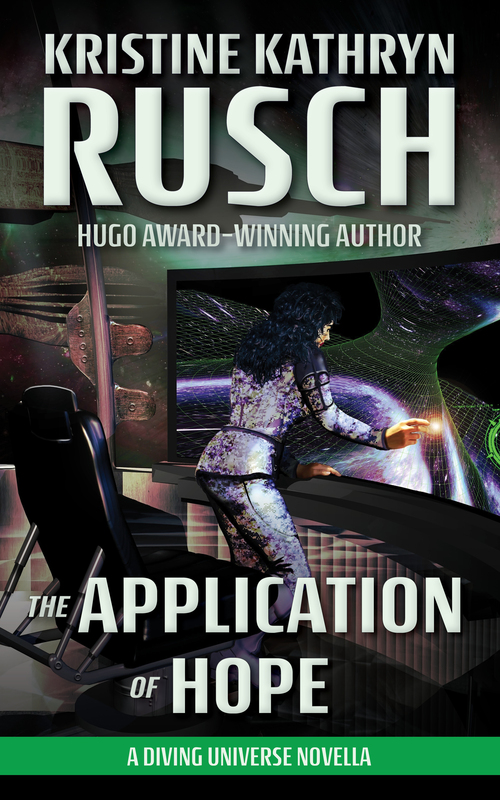 You can find it on Kindle, Nook, Smashwords, and in other ebookstores. The trade paper edition has recently come out and is widely available. This entry was posted in Current News and tagged Coop, Diving universe, foldspace, Ivoire, Mae, the Fleet on February 9, 2012 by kristine. 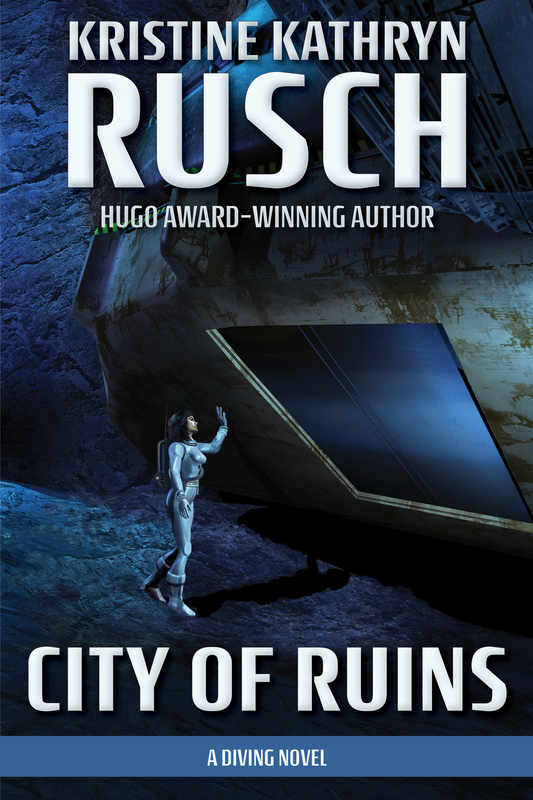 The Cover For City of Ruins! 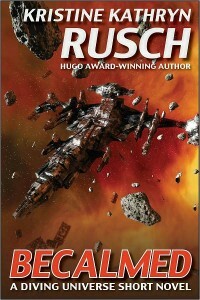 This entry was posted in Current News and tagged Amazon, bookstores, City of Ruins, Dave Seeley, Diving universe, Pyr on October 31, 2010 by kristine. 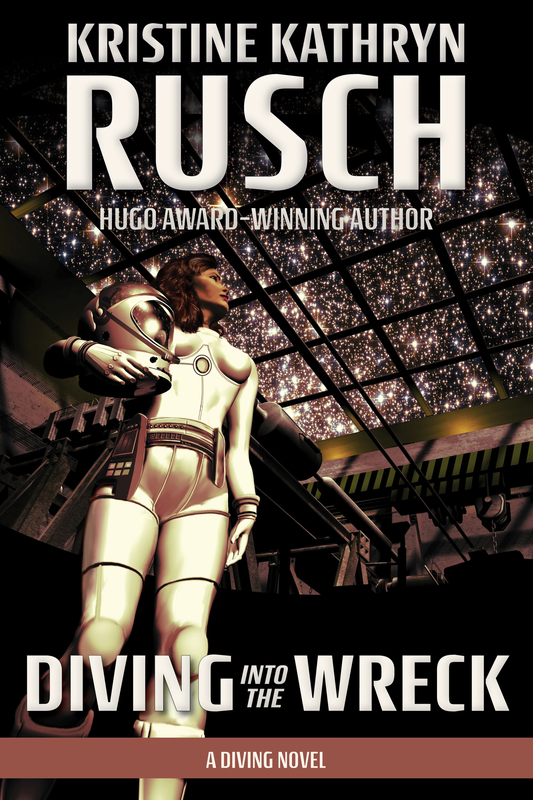 In the October/November issue, Asimov’s Science Fiction Magazine has just published the latest story in the “Diving” universe–a novella that might have some surprises for you Diving Into The Wreck fans. 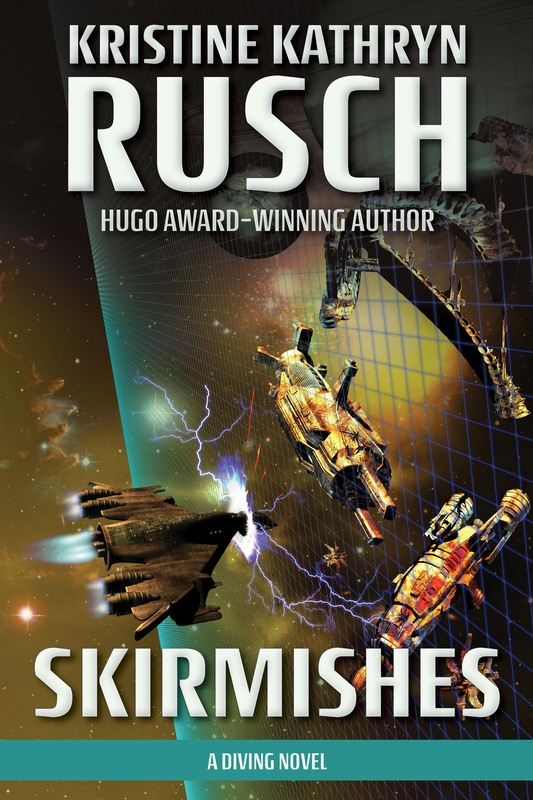 You can order copies electronically via Kindle or Fictionwise, get a copy at your newsstand, or order directly from Asimov’s here. 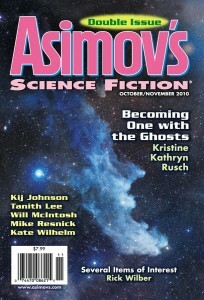 This entry was posted in Current News and tagged Asimov's, Coop, Diving into the Wreck, Diving universe, Kristine Kathryn Rusch on September 3, 2010 by kristine. Join Us! 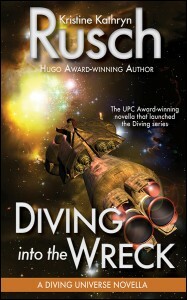 The Diving Universe Newsletter! 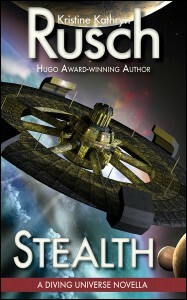 Kristine Kathryn Rusch is an award-winning mystery, romance, science fiction, and fantasy writer. She has written many novels under various names, including Kristine Grayson for romance, and Kris Nelscott for mystery. Her novels have made the bestseller lists–even in London–and have been published in 14 countries and 13 different languages. 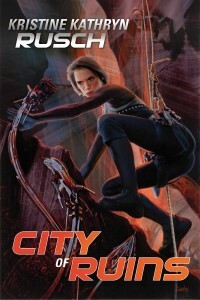 Her awards range from the Ellery Queen Readers Choice Award to the John W. Campbell Award. 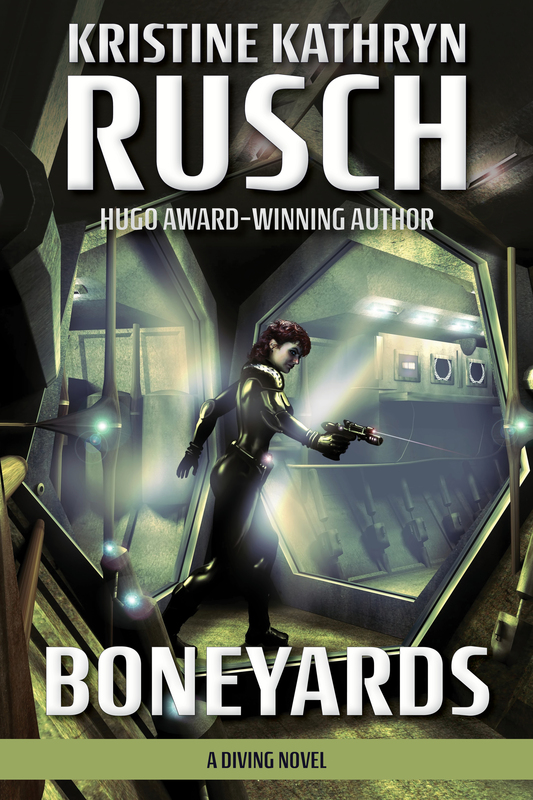 In the past year, she has been nominated for the Hugo, the Shamus, and the Anthony Award. 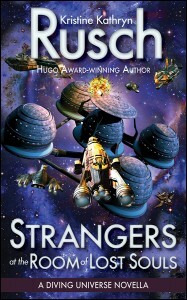 She is the only person in the history of the science fiction field to have won a Hugo award for editing and a Hugo award for fiction. Her short work has been reprinted in thirteen Year’s Best collections. 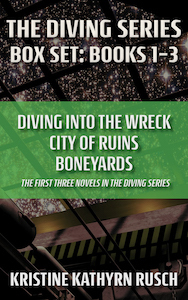 Her novel, Diving into the Wreck, will be published by Pyr in November. The sixth in her Retrieval Artist series, Duplicate Effort, appeared in February. 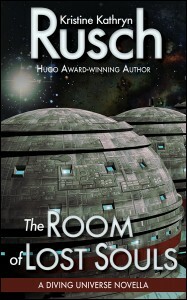 Her next short story collection, Recovering Apollo 8 and Other Stories, will appear from Golden Gryphon in spring of 2010.